We periodically spotlight our volunteers and this month Volunteer Coordinator, Rebecca Jablonski, has chosen Leroy! Leroy’s dedication and enthusiasm about each program we offer hasn’t gone unnoticed! Leroy has been in the IT field for the last 26 years. Currently he is a contractor at Chubb Insurance as an IT systems analyst for their House Counsel department. Outside of work he’s passionate about being outdoors. Some of his favorite activities are kayaking and taking his puppy for walks and visits to the dog park. Leroy came to Mane Stream quite by chance. 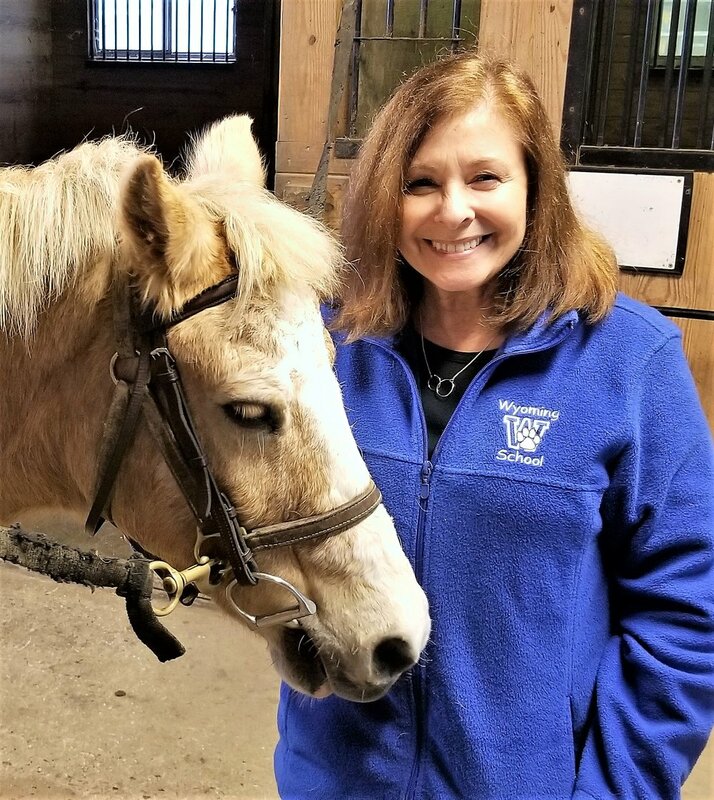 One day a co-worker told him she volunteers at an organization that provides equine related services in PA. He’d driven by Mane Stream for many years and had mentioned it to a longtime friend whose son has special needs. Last July when he stopped by Mane Stream, his friend was in the lobby with his son who was waiting to begin his therapy session. That kind of settled things! 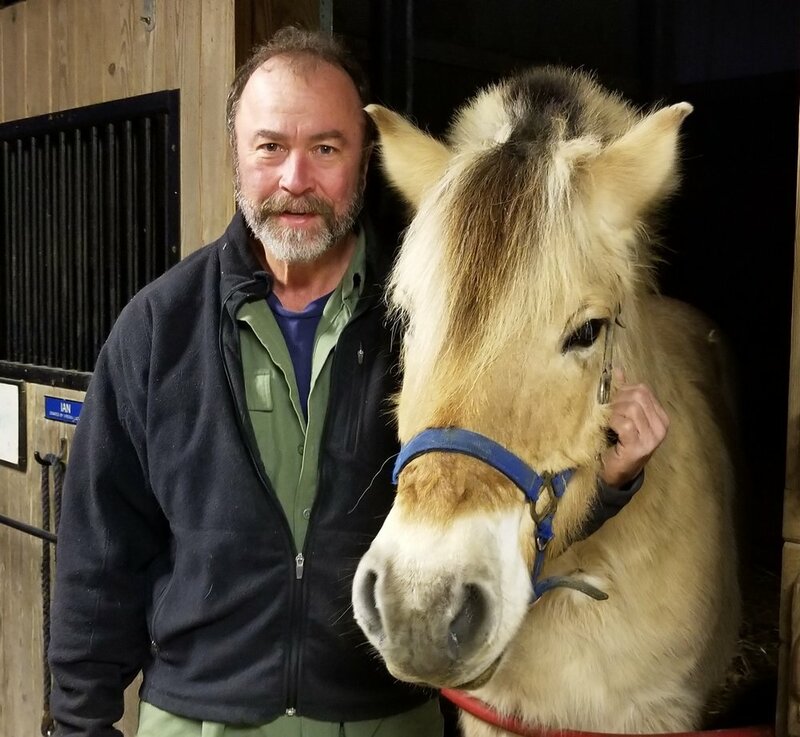 Leroy is equally excited to work in both the adaptive and therapy programs. Each participant teaches him something about them, as well as about himself. 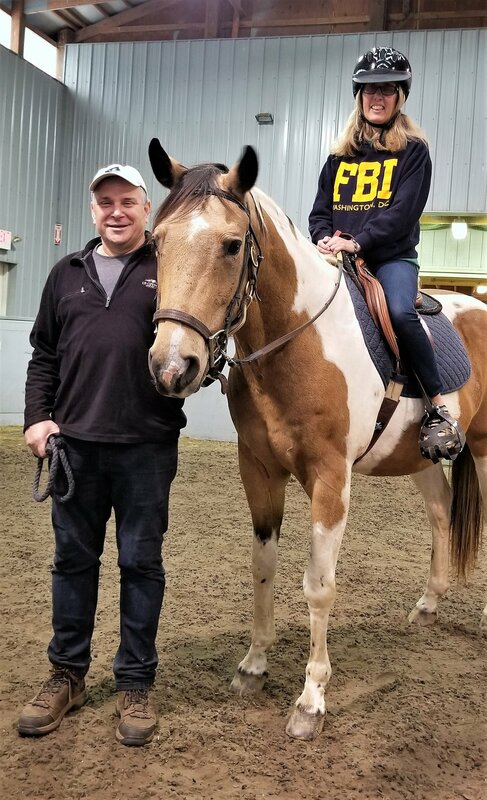 After not having been around a horse for over 25 years, he loves working with them again. He’s also amazed at what they offer each participant. Like his recently adopted puppy, he doesn’t know if he’s adopted Mane Stream or they’ve adopted him. Likely a bit of both! Visit our Volunteer Section of the website. Then create your Volunteer Profile and sign up for the an orientation & training session. We’ve got several to choose from in the next few months. 10 Minutes Is All It Takes! We’ve all woken up on the wrong side of the bed, right? Well maybe all we needed was a trip to the farm to make everything better. 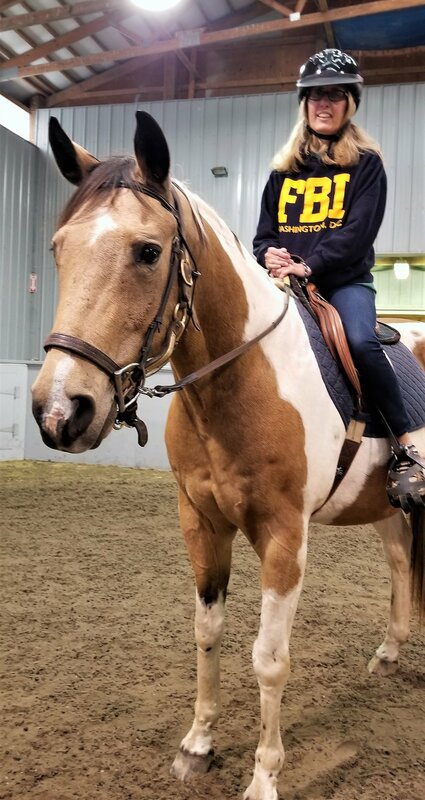 During the most recent Seniors Field Trip, two members of the Adult Day Center of Somerset County were a little grumpy when they walked into the barn. The day was cool and rainy, and the barn felt a bit dark and clammy. 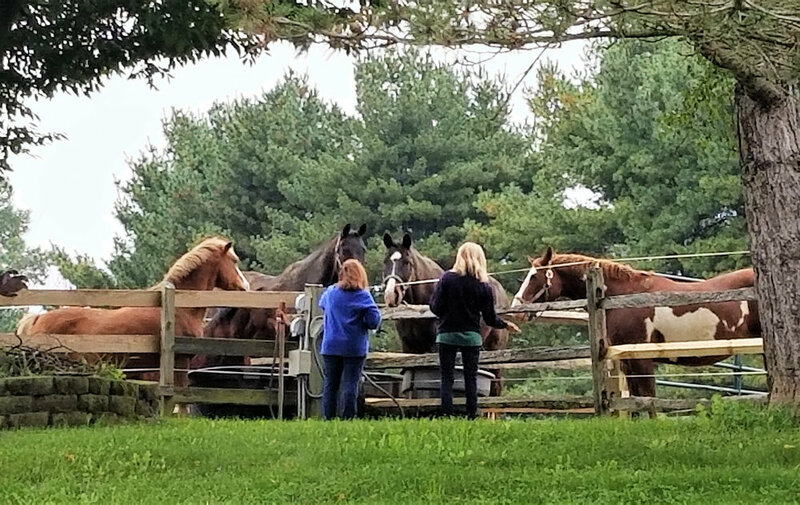 Five out of the seven members walked right in with smiles from ear to ear eager to meet the three ponies waiting to be groomed. The two others, a first-timer and a previous attendee, were NOT quite as excited. 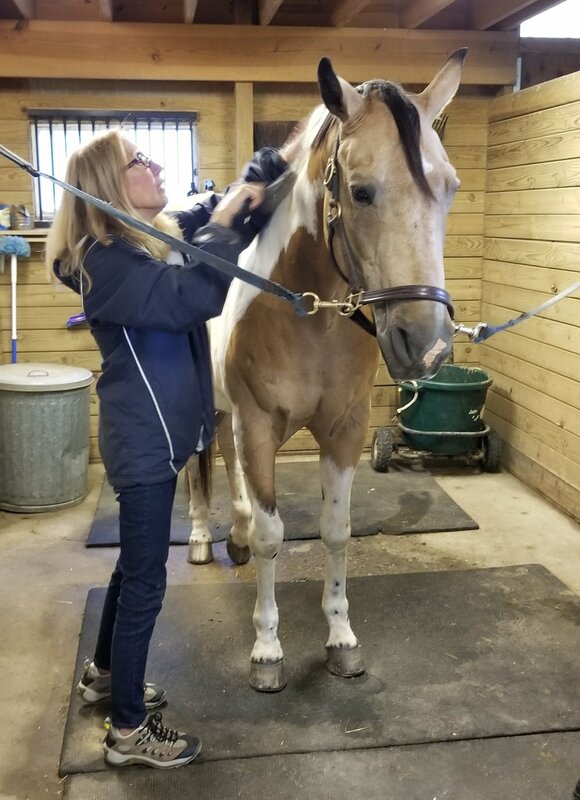 With hands firmly in her pockets and a face to match her attitude, return visitor “Jane” entered the barn and walked back and forth refusing to help get the ponies clean. A long 10 minutes later, her face started to soften and her hands came out from her pockets. That’s all it took for the closest pony to stretch its neck out to investigate. With that small gesture the woman smiled and reached out to pet the pony. After that she picked up a brush and went to work brushing the dirt off her pony. 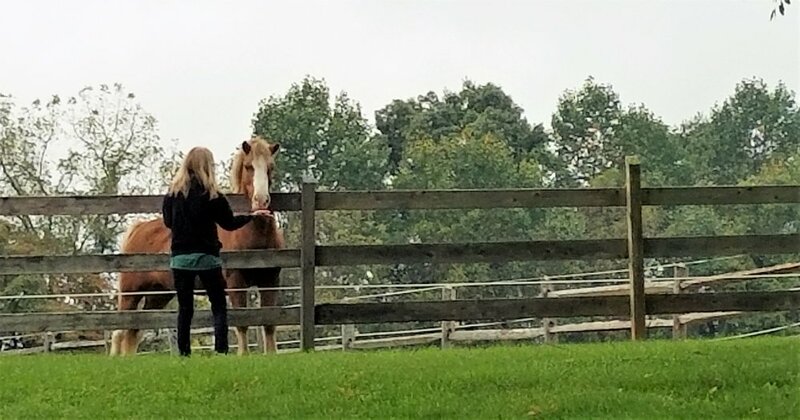 The other senior who had never been to the farm, walked into the barn and refused to touch a single pony. He clearly stated he was not going to clean any horse and did not want to pet one either. After 10 minutes of watching the others petting and grooming he agreed to take a brush and went to work. He then moved onto the next horse and gently brushed the horse’s face and neck until the horse fell asleep. Coming to Mane Stream for a few hours gives seniors with dementia a purpose and focus. They take care of someone else instead of always being taken care of. Maybe that means doing something they never tried before. Maybe the experience brings back memories from their childhood. Whatever it is, they share their experience with the staff and volunteers either verbally or through their smiles. Each trip ends with the participants enjoying a quick lunch in the reception area. This time a couple of the seniors gladly offered to sweep up the whole room, saying they wanted to help and be of some use. Don’t we all want that?! 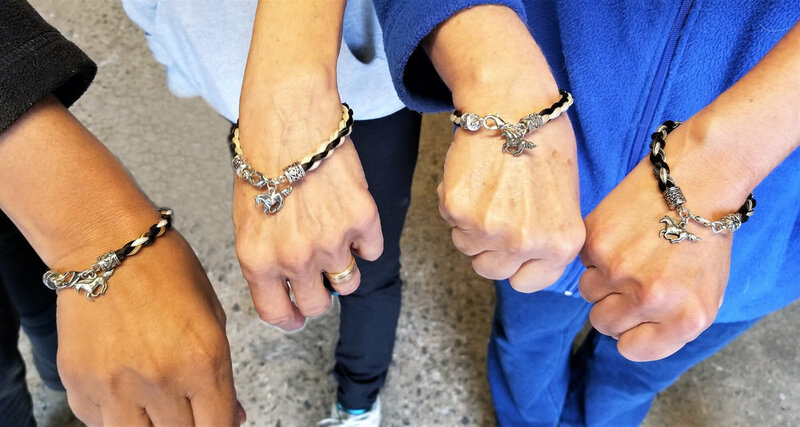 Mane Stream is proud to provide a place for these seniors and we look forward to their monthly trips. SHARE the news! Fall Session is a Wrap! This season was a first, where veterans and their partners attended each of the 6 weeks. 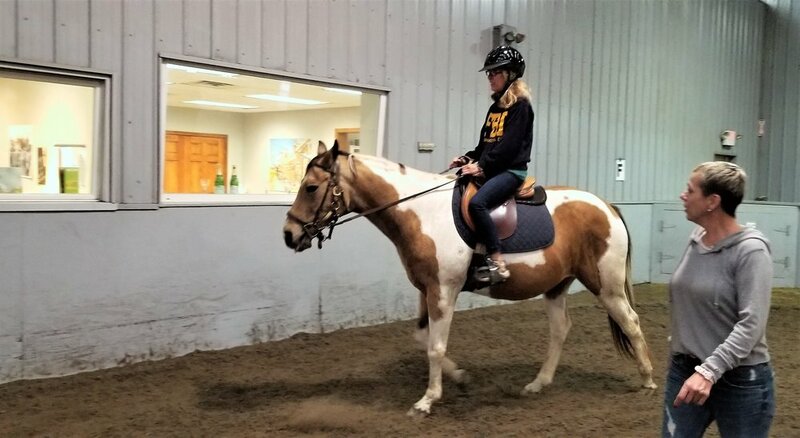 They experienced the many benefits of time spent with horses, including feelings of peace, relaxation, and connection with their equine partners as they engaged in a variety of hands-on activities. The participants also had an opportunity to discuss challenges and explore feelings in a safe and supportive environment. 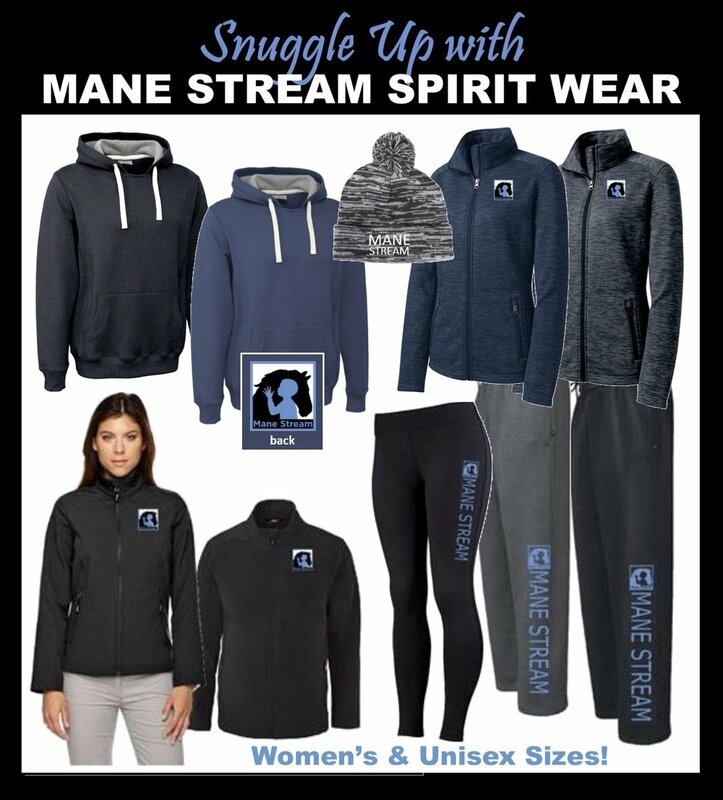 Mane Stream’s OPERATION: Take the Reins program is free to veterans and service members. 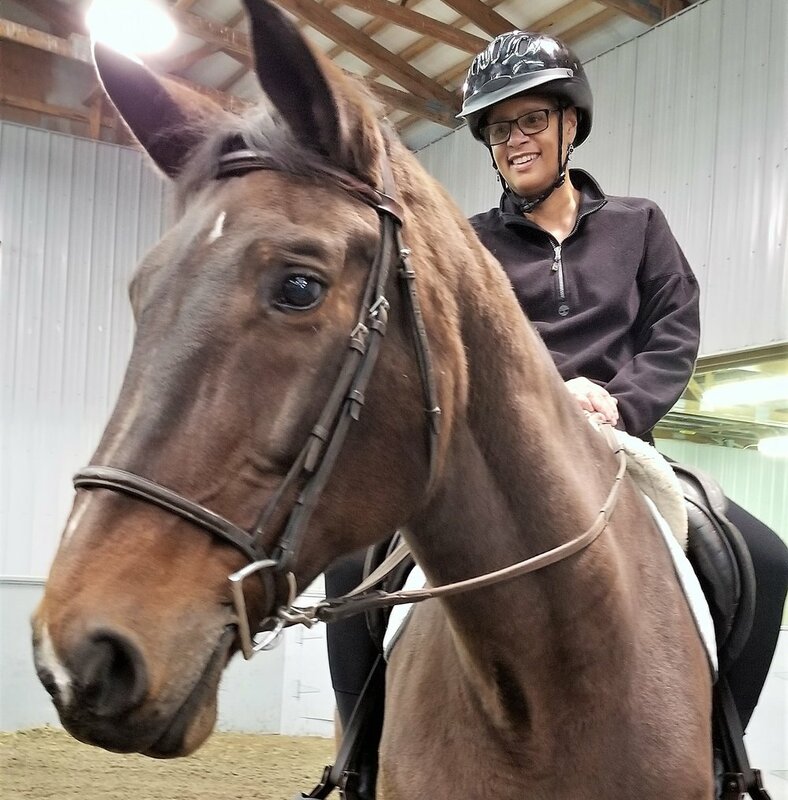 If you’re a veteran (or know of one) who would enjoy spending time with horses, we hope you’ll consider participating in this program. Halloween week turns hauntingly magical. Leading up to Halloween there was nothing I thought would be better than transforming our herd into magical unicorns! 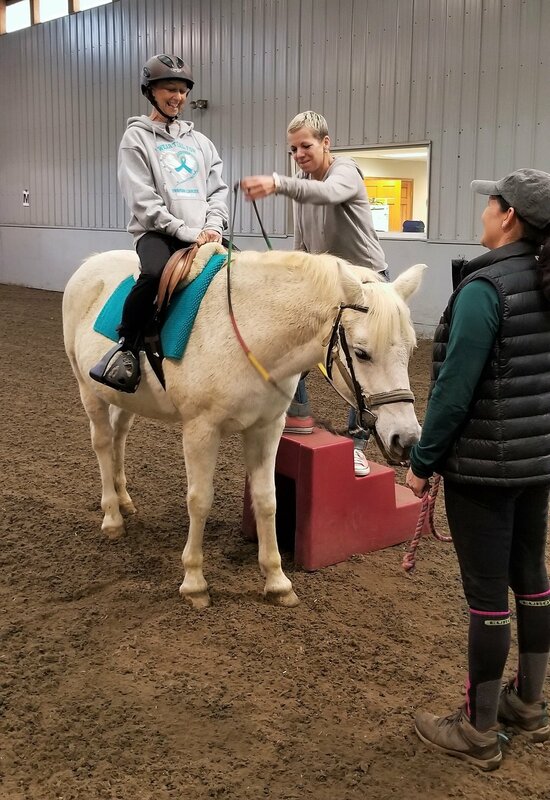 Not only did our volunteers get a kick out of dressing up our horses, but our participants had even brighter smiles. What kid doesn’t dream of riding a unicorn? 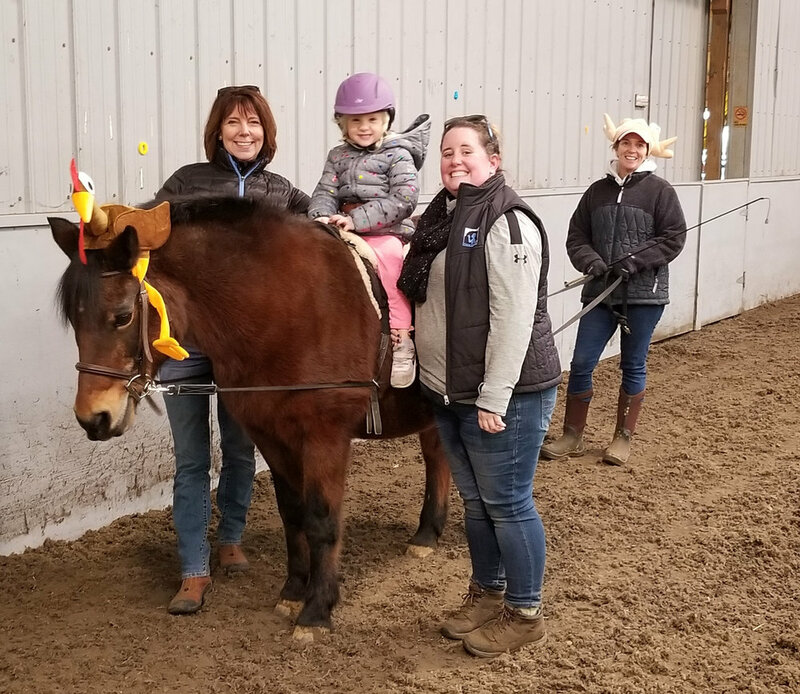 Our unicorn herd brought the Halloween magic to Mane Stream and I loved watching everyone walk around the barn laughing and having fun picking a bright pink horn out for Dart or tacking up horses while wearing a rainbow unicorn horn themselves! To everyone who made this Halloween a little extra magical I want to say thank you! We’ve got something for everyone and it will be ready for pick up before Thanksgiving! Whether you want to dress it up with a button down shirt or like a stylish and comfy top you’ll find it and most likely in TWO colors. We’ve answered your calls about a little more color…introducing several items in shades of blue. 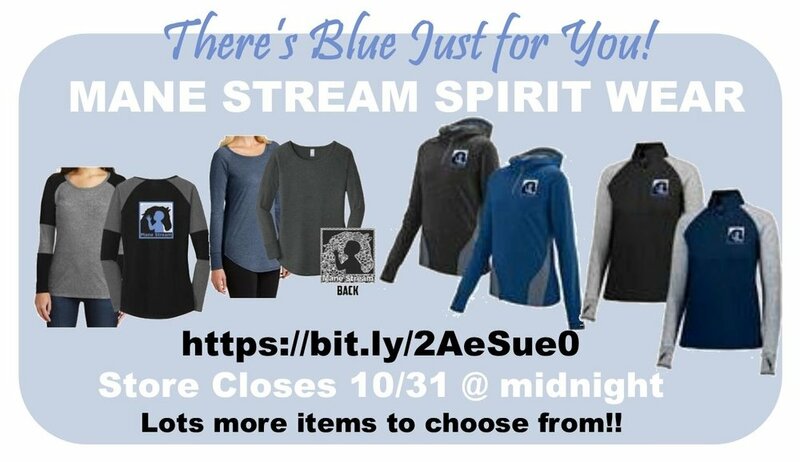 Online Store Closes on 10/31 at Midnight! !